Products: Chickens, popcorn, strawbales, non-gmo corn and soybean feed and so much more! Connect: through Facebook website, or e-mail for questions or to place your order. The Pearson family has been farming in this location for almost 75 years. 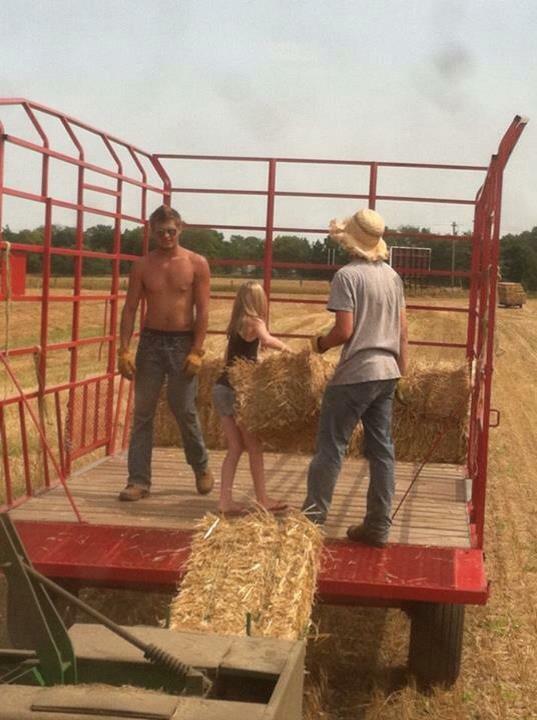 Most of those years there has been a wagon load of straw bales by the highway for self service availability. Many people have come to know the Pearson Family Farm as a landmark! As years, generations and the community have evolved the Pearson's have tried to change along with the times. They are currently 3 generations working together on the farm on a regular basis with the 4th generation around to help when things get busy! For the last several years now, the Pearson's have been growing many varieties of orange and specialty pumpkins, other fall decor crops such as broom corn and sorghum and their very delicious homegrown popcorn. They have a new and unique corn maze each year, hand cut in the field behind the farm. During the months of September and October they are open for customers to browse through the "Barn Boutique". A quaint space filled with all of the things they have grown during the year as well as a wonderful variety of vintage decor and antiques. It is the Pearson's passion to offer a wonderful fall family experience where every family can afford to participate! They have an excellent quality corn maze, hay rides & beautiful pumpkins. There are real tractors and farm equipment to be explored (by well supervised children and the adults they bring with them). Community needs the community! The Pearson's feel it is important for the health of individuals and the community itself to be continually involved with those closest to them. They seek to support their neighborhood businesses by shopping locally whenever possible and through crafting their business to best meet the needs of the community.